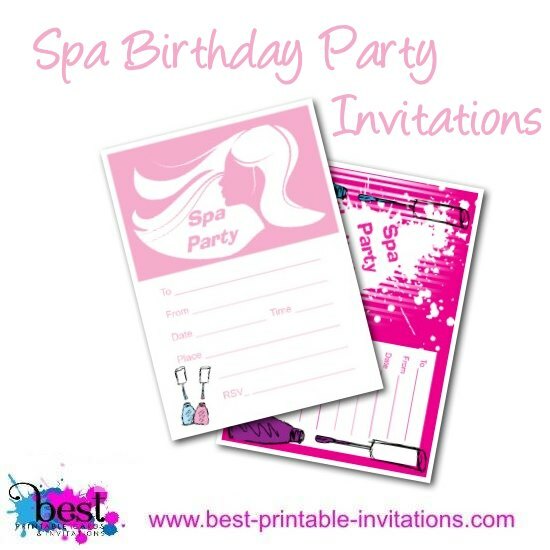 Pretty in pink spa birthday party invitations! 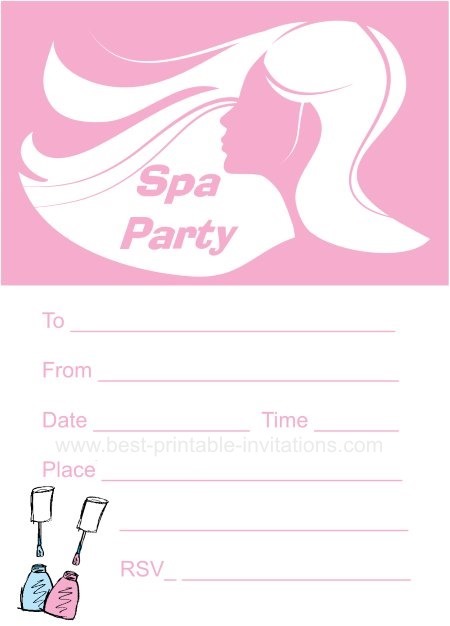 These free printable invites are a delight - the perfect way to invite guests to come and pamper themselves with you. 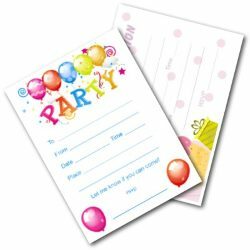 I have two very unique and different invitations on this page to share with you! Both print out two to a page. 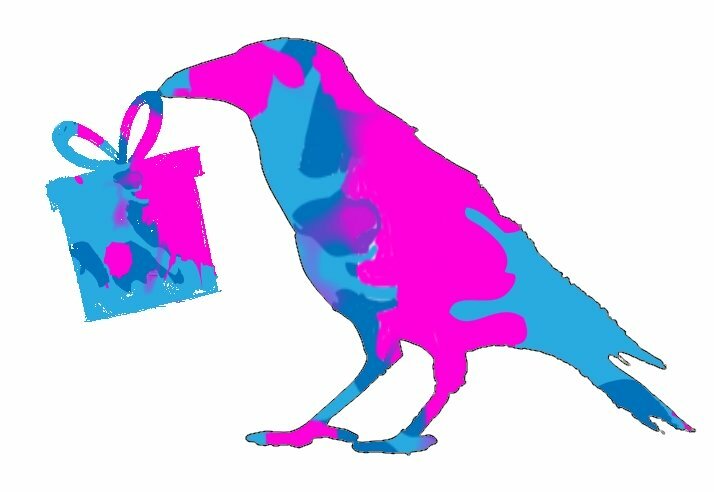 Bright and bold! 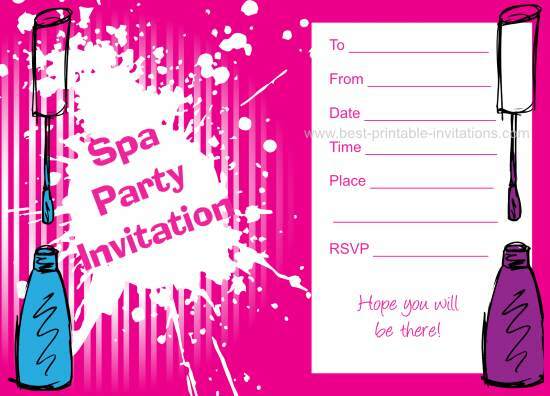 This shocking pink invitation makes a big statement. It is about having fun and partying on! I love how bright this one is, and I hope you do too! Remember to stock up on ink if you are printing a lot of these. This one is a bit more gentle and serene. Soft pink with a splash of color at the bottom coming from the nail polish. This one is about pampering, and relaxing! 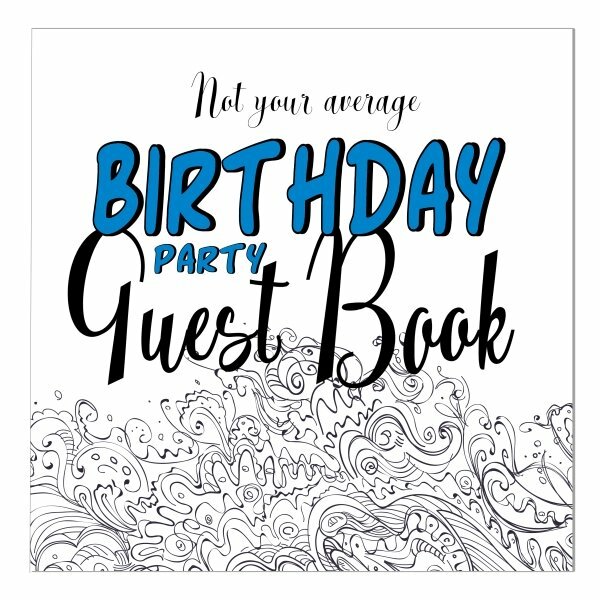 Whether you are actually going to a health club for the day, or hosting at home, I hope one of these invitations is perfect for you and your guests. 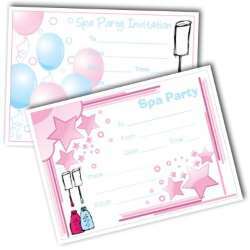 Just as the two invites on this page were very different - so are the types of spa parties you could hold. 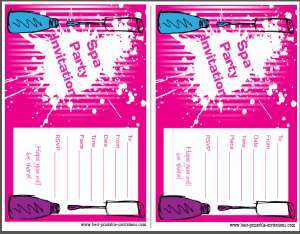 Are you thinking relaxing and pampering - soft music, face-masks and a pedicure! Something calm where everyone can unwind. 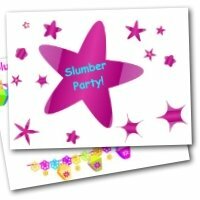 Or would you like something more fun and busy (especially if you have young girls involved!). 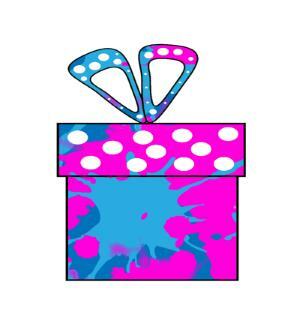 In that case set up some crafts to make your own lip balm or bath salts. We always found a large box of dress-up outfits went down well with the girls - they love holding fashion shows! If you need more inspiration, I have lots of ideas, recipes and decoration ideas on my Pinterest board. See if there is something there that would be perfect for you. 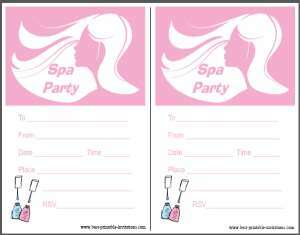 Follow Julie @ FromtheRookery.com's board Spa Party Ideas on Pinterest. 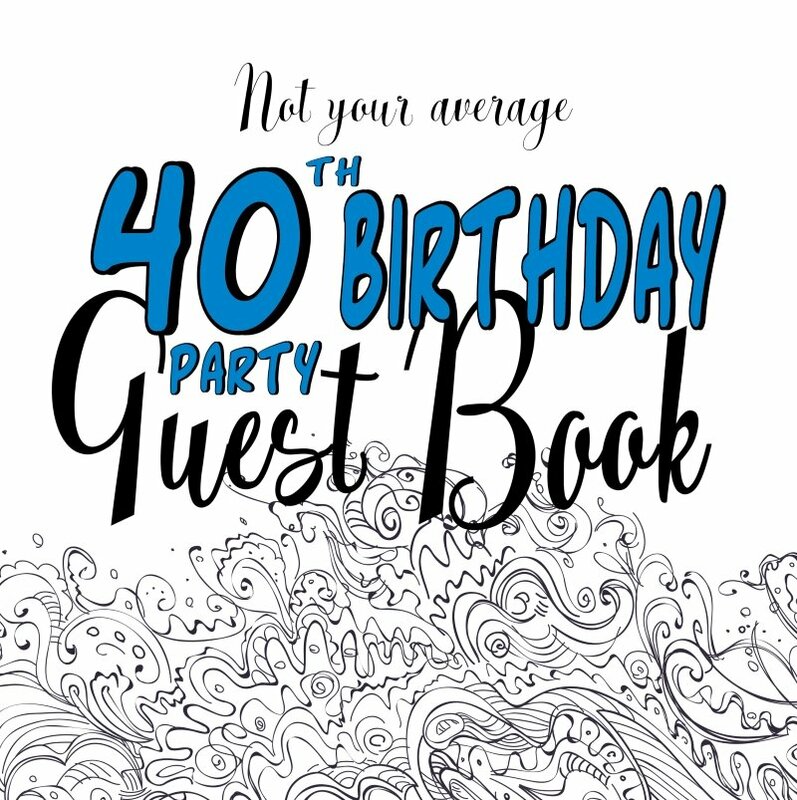 I would love to hear about your party. Especially any decoration ideas you have. Leave me a comment in the box below.